Works on any computer in the world to administer your IMail users. 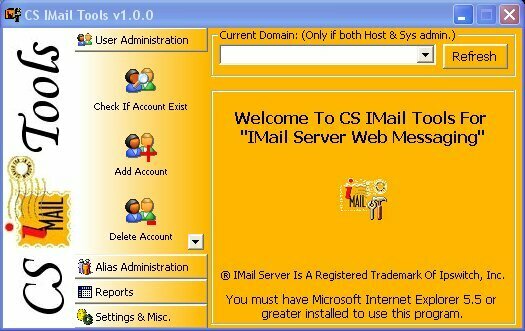 No Server-side software to install, works through web mail. Save reports into .TXT & .PDF file without having Adobe Acrobat installed! Make your own templates for CS IMail Tools to work with your IMail Web Templates! 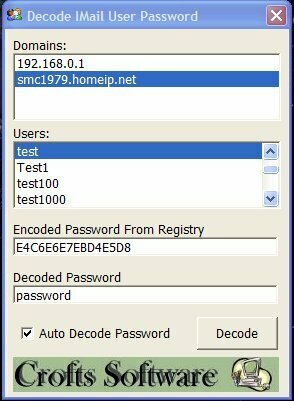 Pulls IMail Users from the registry and decodes their passwords.